Today I met Sandra Sunshine and she will be taking care of the Hitchgathering stand and she has ideas to make it fun and creative. 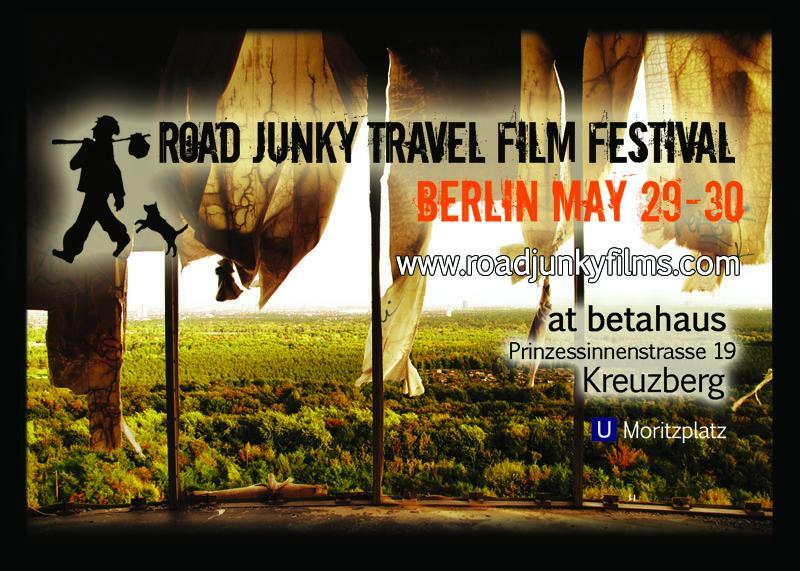 The picture is from Teufelsberg, this abandoned military base in the middle of the Green forest in Berlin. Submitted by Wrenaqua on Thu, 27/05/2010 - 21:30. Submitted by Wrenaqua on Thu, 27/05/2010 - 19:33. I've seen the flyer, it looks awesome, but a question i have and got from many people, where is betahaus? Submitted by robino on Thu, 27/05/2010 - 20:45. Submitted by robino on Mon, 24/05/2010 - 22:43.
great photo, I love that place where you took it! In general, there are of course some concerns about the "ultimate" film-festival, concerns that already have been covered on the hitchgathering website and are especially connected with (not announcing in time) that an entry-fee would be required. So I didn't want to mention that again here. But, with all due respect, when I see what Tom writes I hesitate somewhat: just now the program has also been posted on the (awfully commercial) roadjunky.com website followed by the statement: "So quit your job, sell your car and book your flight to Berlin for this weekend…"
I know that not only hitchhikers will attend the festival and I personally also know people who are taking a plane, but to encourage it even is yet another thing... Or is Tom Thumb, who even wrote a book about hitchhiking, just provoking here? Submitted by valentina on Mon, 24/05/2010 - 18:31. Great job! All very interesting topics. I suggest you not to miss Nans and Guillaume's talk: you should remember them from the SHE is in Montreal/SHE is in Berlin web-chat. Also, we are probably gonna have 20 minutes "promotion" talk about 6810 hitchgathering on Saturday, between 5 and 5.30 pm.